Eastasiasoft has announced that the 2D action-platformer Devious Dungeon will get a limited physical edition for PS Vita and PS4. 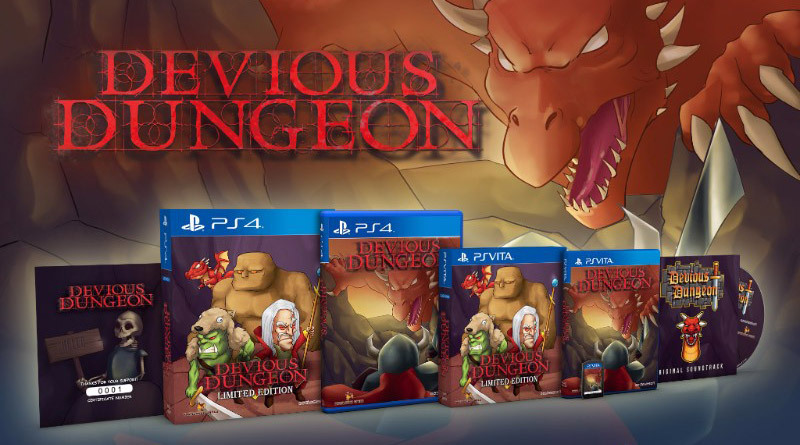 Limited to 1,250 copies on PS Vita and 1,000 copies on PS4, the Devious Dungeon physical edition will go on sale on August 9, 2018 11AM ET at the online retailer Play-Asia.com for $34.99 USD inluding free shipping. Devious Dungeon will also release digitally on the PlayStation Store in Asia on August 3, 2018 for US$7.99 / HK$63 / TW$250. Devious Dungeon supports Cross-Buy and stackable platinum trophies. Players can look forward to beautiful 2D pixel art graphics, 65 randomly generated levels staged across 5 worlds, lots of weapons and gear, boss battles and much more.